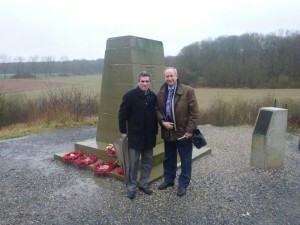 The Chair of the Welsh First World War Centenary Programme Board, Professor Sir Deian Hopkin, paid a recent visit to the site of the memorial being constructed at Langemark. The stones which form the cromlech, and on which the new bronze dragon will be mounted, have now been assembled and work is continuing on the site itself to provide good access and parking. 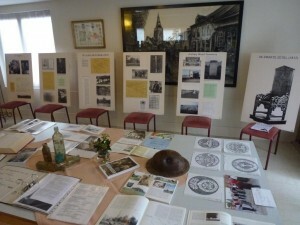 The Sportsman Bar across the road hosts an excellent exhibition of materials relating both to Hedd Wyn himself and to the Welsh campaign in Pilckem Ridge in the Third Battle of Ypres (Passchendaele). The local community has been enormously supportive and regard the relationship with Wales as a central part of their recent history, and there is great enthusiasm for the forthcoming dedication ceremony in August. 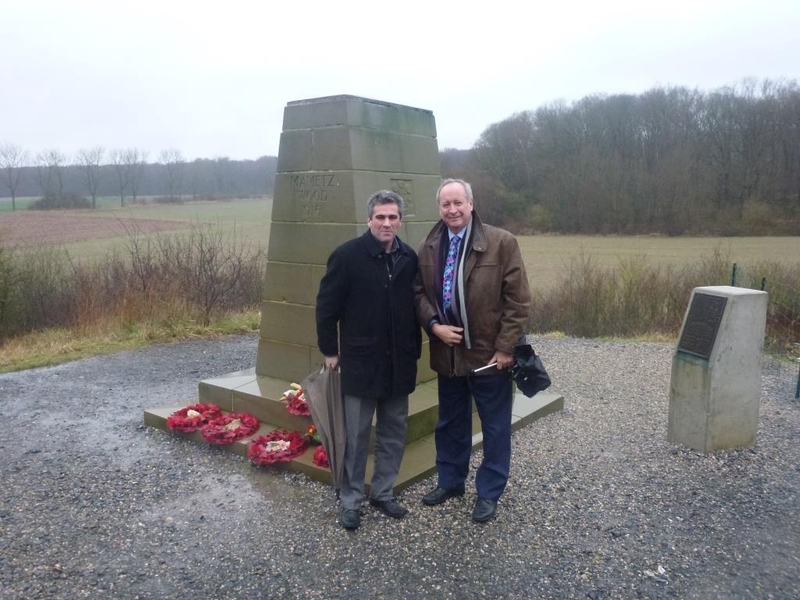 During their recent visit to Belgium and France, Professor Sir Deian Hopkin met the Mayor of Mametz, Stephane Brunel, who has been playing a leading part in the improvement programme for the memorial to the 38th Welsh Division at Mametz Wood, the site of the epic battle in 1916. Access to the remote site has been hugely improved, a turning circle constructed and space is being created for more cars and buses. Meanwhile the famous Welsh dragon designed by David Peterson has been temporarily removed for restoration but will be re-erected well in time for the major ceremonies planned for 2016. The community of Mametz have made a substantial contribution, both financial and in person, to this work, thus further cementing the already strong relations between them and Wales.